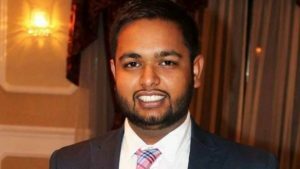 Toronto, On – Federal officials have charged Air Canada with a series of health and safety violations in the death of IAM Local Lodge 2323 member Ian Henrey Pervez. Pervez was killed on April 22, 2016 on the tarmac at Toronto’s Pearson International Airport when the baggage-cart tractor he was driving flipped over, throwing him from the vehicle. Federal officials allege five health and safety violations of Part II of the Canada Labour Code, by the airline contributed to the death of Pervez. Failure to ensure that the health and safety at work of Pervez was protected. Failure to remove from service defective vehicles that present a health and safety hazard to employees operating them. “Ian Henrey Pervez expected to come home from work that day, as do all of our members,” said IAM Canadian General Vice President Stan Pickthall. If convicted, officials at Air Canada face maximum fines of up to $1 million or a prison term of two years according to Section 148 of the Canada Labour Code. The IAM is the largest union at Air Canada and the largest in Canada’s air transport sector.